It's not bad math, it's a great deal! 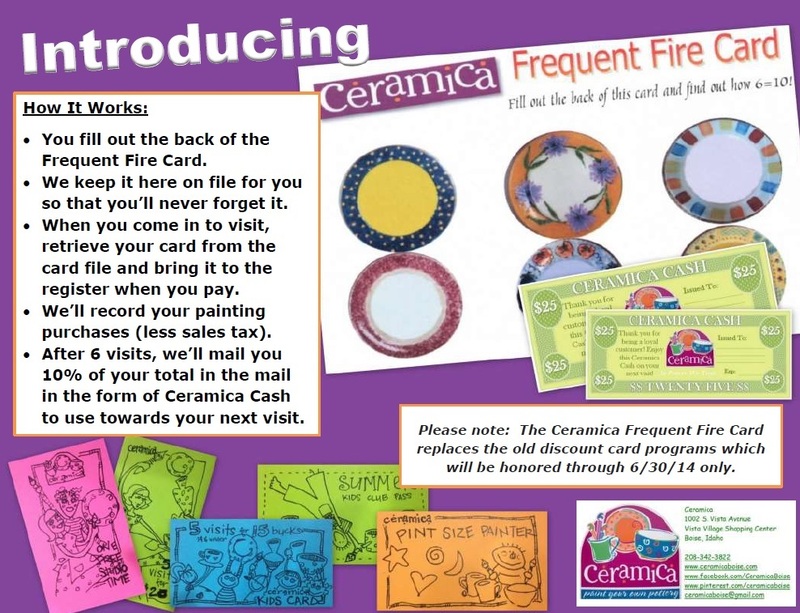 Join the Ceramica Frequent Fire Club and get 10% back on 6 visits to Ceramica. 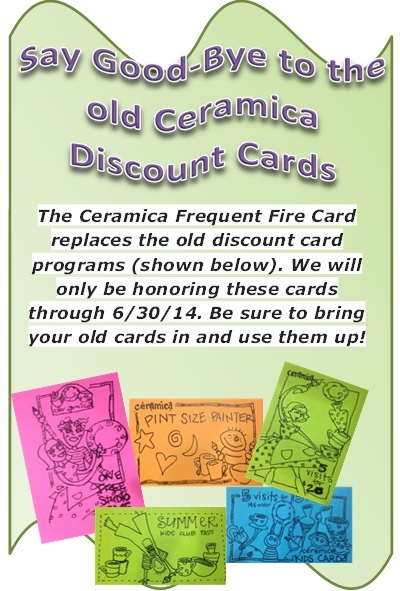 Please note that all of the old Ceramica discount card programs expired on 6/30/14. They have been replaced with the Frequent Fire Card program as per notice given since October 2013 on the studio tables, on this website, via e-mail notification in our semi-monthly newsletter and through repeated social media postings. Thank you for your cooperation. It's been very rewarding to send out hundreds of dollars worth of Ceramica Cash to our loyal customers since the switch.